The conference will be held at the "Pierre Baudis" Congress Centre of Toulouse in France. 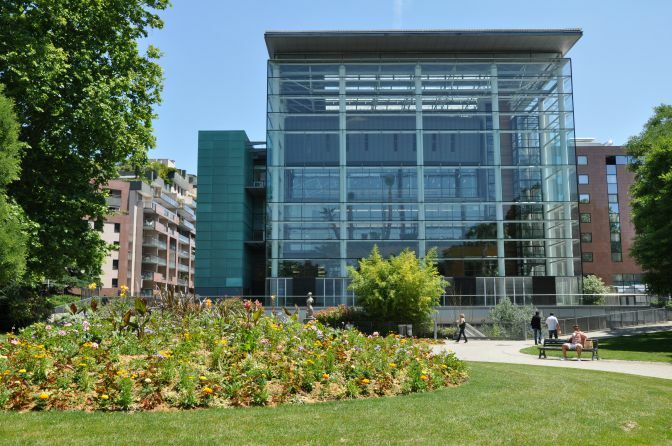 It is a modern place for trade, privileged by its immediate proximity to the Toulouse Centre in a green environment. It can hold from 50 to 1,200 people. A complimentary transportation pass will be distributed to the delegates on site at the badge withdrawal. This pass gives access to the Toulouse official transportation: tramway, metro, buses and shuttle to airport. 38 regular flights, including 24 international flights (20 in Europe). 16 daily flights between Toulouse and the main provincial towns and cities. a daily shuttle bus connects Paris to Toulouse in 1 hour and 10 minutes every 30 minutes. A shuttle bus runs every 20 minutes from Toulouse-Blagnac airport and the city centre. Matabiau Station (train, metro, bus, coach). This line is equipped with buses adapted for access for people with reduced mobility. Toulouse has a direct motorway link with the main capitals of Northern and Southern Europe. There is a secure paying car park "Compans Caffarelli" with 1,000 spaces at the foot of the site. The Toulouse Matabiau SNCF train station (08 36 35 35 35). Approximately 10 minutes by car from the congress centre. Toulouse is 5 hours and 30 minutes from Paris by fast train, 2 hours from Montpellier and 2 hours from Bordeaux. The line B “Compans Caffarelli” stop is located at the foot of the Centre de Congrès Pierre Baudis (Pierre Baudis Congress Centre). The metro operates from Sunday to Thursday from 5.15 in the morning until midnight and Friday and Saturday until 12:42 in the morning. Service frequency is every 6 minutes at off-peak times and 1 minute and 20 seconds at peak times.